The Mysteries and Thrillers Rock! Giveaway is now live. 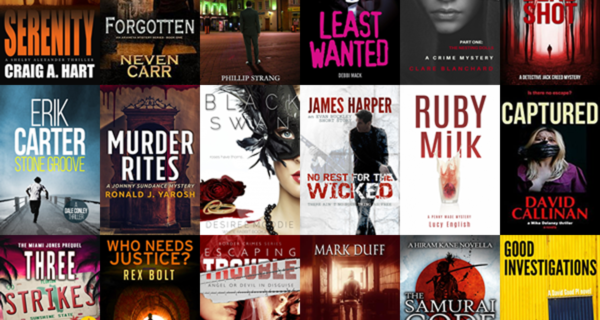 32 Amazing Msteries and Thrillers - All Free! Including books from authors JK Neve, Matthew Mather, David DeLee, DF Doran, Ari Rose, Tom Haase, Puja Guha, Emma Clapperton and more. And me, James Harper, of course! The latest Evan Buckley thriller – No Rest For The Wicked – is exclusive to the giveaway and you can get a copy for free along with any of the other books. 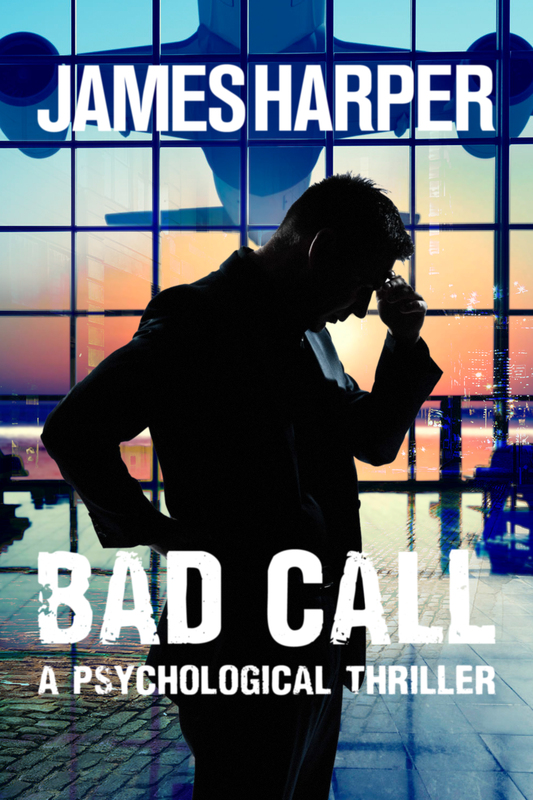 The Mystery & Suspense Giveaway is now live. 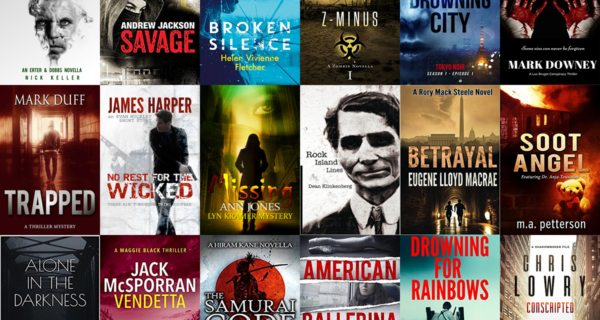 32 Amazing Mystery & Suspense Novels - All Free! Including books from authors Craig A. Hart, David Callinan, Ethan Jone, A.S.A. Durphy, Mark Duff and more. And me, James Harper, of course! The latest Evan Buckley thriller - No Rest For The Wicked - is included in the giveaway and you can get a copy for free (or any of the other books) by following the link below. The Thriller & Mystery Giveaway is now live. 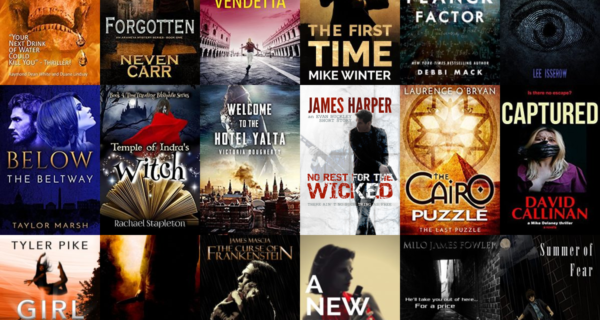 45 Amazing Thrillers - All Free! Including books from authors J. Scott Matthews, Andrew Jackson, Helen Vivienne Fletcher, Perrin Briar, Mark Downey, Mark Duff, Nick Keller and more. And me, James Harper, of course! The latest Evan Buckley thriller – No Rest For The Wicked – is exclusive to the giveaway and you can get a copy for free along with any of the other books. The Chills & Thrills Instafreebie Giveaway is now live. 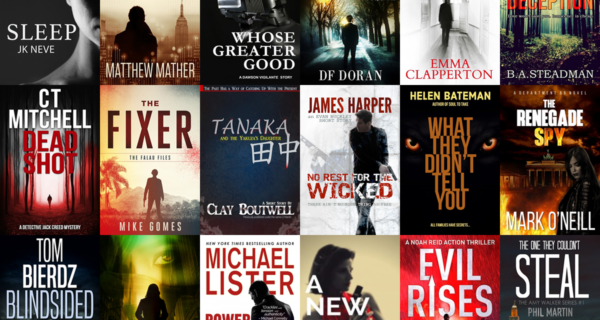 18 Amazing Thrillers – All Free! Including books from authors Neven Carr, Jack McSporran, Mike Winter, Debbi Mack, TaylorMarsh, Victoria Dougherty, Tyler Pike and more. And me of course! The latest Evan Buckley thriller – No Rest For The Wicked – is included in the giveaway and you can get a copy for free along with any of the other books.